An End to “Must-place” Teachers in LAUSD? Almost. 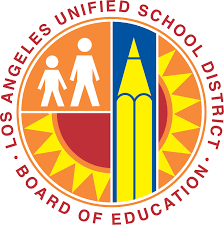 Last month, a quarter of Los Angeles public schools gained new power over selecting teachers to fill vacancies when the Los Angeles Unified School District (LAUSD) Board of Education unanimously adopted a resolution to establish mutual consent hiring. In most districts, teachers are employees of the district, not the school where they work. What that means is that they can be displaced — losing their position at their school — while still remaining employed by the district. A teacher can be displaced for many reasons, like declining enrollment, changing instructional needs, or generalized dissatisfaction with the teacher’s performance. In many districts, a teacher can remain “displaced” with full salary and benefits indefinitely. But this is starting to change. Districts are beginning to adopt policies that recognize that teachers who are unable to find new placements after a year should not continue to stay on as fully-paid employees. Los Angeles’ mutual consent hiring policy requires both teacher and school to agree to a teacher’s placement. This means the districts can no longer place teachers unilaterally or require schools to select from the displaced pool rather than making new hires. As of right now, the policy only covers one quarter of LAUSD schools. The remaining three quarters are still obligated to fill vacancies with displaced teachers, a group which includes those who have been unplaced for more than a year (commonly referred to as the “must-place” teachers). Nick Melvoin championed this policy as the LAUSD school board vice president. Nick was also a witness in Reed v. State of California, a 2010 California constitutional case that aimed to protect students in underperforming schools from catastrophic teacher layoffs. I worked on Reed as part of the legal team that represented the students, including students at the school where Nick taught. Reed was a precursor to its more famous sibling, Vergara v. State of California, a case that led to a California Supreme Court ruling about the need for establishing “inevitability” when linking an education policy aimed at teachers to a constitutional harm to students. In the Q&A below, I talk with Nick about what this new policy means for LAUSD’s students and teachers. Conversation has been lightly edited for length and clarity. Eight years ago, you and I first met while I was representing students suing LAUSD over disproportionate teacher layoffs in their schools. That included many of the same schools that are now insulated from receiving “must-place” teachers under this new policy — including the school where you taught! That case ultimately settled without clarifying the state’s reverse-seniority layoff laws. Did that experience inform this effort to create a new practice of mutual consent hiring? Absolutely. Just because litigation isn’t successful, that doesn’t mean that we’ll stop trying. There are two reasons that this policy makes sense. The first and most important one is the impact that this has on children. When I arrived as a teacher at Markham Middle School, I saw a rotating parade of substitutes and learned what that had done to my kids. Some of them didn’t have a history teacher until October, and until then, they were failing interim assessments… History isn’t something you can intuit — someone has to teach you! The administration was going down the list of hundreds of “must-place” teachers, and each one who showed up would leave after a few days. They weren’t the right fit for the school and they didn’t want to be there, but this would go on for months before the school could secure a permanent teacher. The second reason is that I care about treating teachers as adults and as professionals. I came to the district fresh out of Harvard University, and my classmates were going on to Wall Street and consulting firms. I thought teaching was the most important job in the world, but when I arrived, I was treated like a cog in a machine. Mutual consent is about treating our teachers well and respecting them as professionals who do the most important jobs in the world. I think that this new policy opens up a new channel for conversation and helps us to move closer to our goal of ensuring that all students in the District have great teachers. How do you think about the consequences of this new policy for the district and its relationships with “must-place” teachers? I want to make sure that we differentiate between displaced and must-place. There are lots of reasons that a teacher might be displaced, like declining enrollment or a residential move within our 700+ square mile district. For the purposes of this resolution, a “must-place” teacher is any teacher who still employed by the district but who no longer has a position at a school and not been rehired after more than a year of attempted placements. When a teacher has been displaced, the District has a responsibility to help them find a new position, but if that teacher is unable to find a position after a year, they should exit the district. Now, we should do that thoughtfully and with compassion and empathy. We will also do it in ways that respect our collective bargaining agreement. We’ve directed the superintendent to develop a strategy for exiting teachers that does that. There are a few hundred of these “must-place” teachers who are receiving their full salaries and benefits but who are not serving kids and who haven’t been in classrooms for more than a year. If nothing else, with the District in its current financial crisis, we shouldn’t be spending millions of dollars a year on this group. What’s the rationale behind creating a mutual consent policy for just some schools? And what’s the ultimate goal? We had this discussion at the board meeting: if the reasons for not placing teachers at some schools are true, aren’t those reasons true at all schools? I think that there is agreement on that but also on the complexities of rolling out this kind of change and ensuring that we’re mindful of our collective bargaining agreement. We started with magnet schools, schools in the lowest performance band on our performance index, and schools in the highest need bands on our equity index. So for the time being, we’ve protected a swath of our schools from the obligation to hire “must-place” teachers. But my end game is ending “must-place” for all schools. If you haven’t been rehired in a year, you should exit the district. The vast majority of our teachers are incredible and hard working and I want them to stay. I think we do that by treating them respectfully and like professionals. No professional should work where they don’t want to, and no school community should have to hire someone that they’re not excited about. This entry was posted in Education Policy, Equity, Politics of Education, School Governance, State Education Policy, Talent, Teacher Effectiveness and tagged displaced, LAUSD, Los Angeles Unified School District, must place, mutual consent, Nick Melvoin, teacher contracts, Teacher hiring on July 2, 2018 by Hailly Korman.